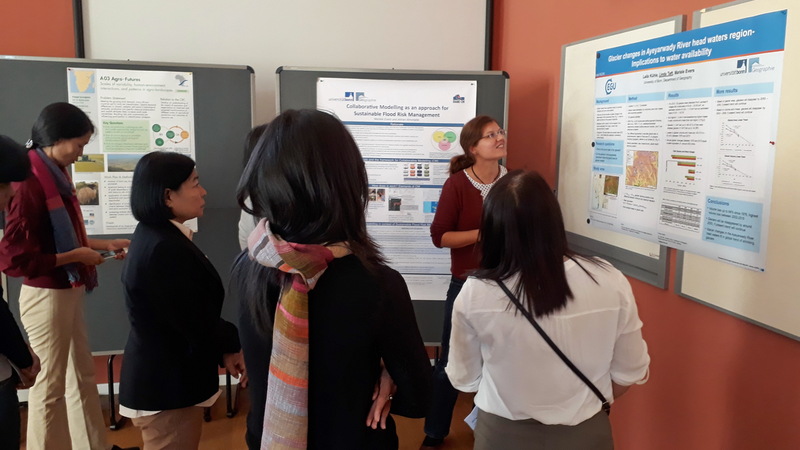 For two weeks six Myanmar guest researchers visited the Department of Geography/research group Eco-Hydrology and Water Resources Management (University of Bonn) as well as the Department of Hydrology and Water Resources Management at the University of Kiel. The delegation came from Yangon Technological University and Myanmar Maritime University both situated in Yangon, Myanmar. 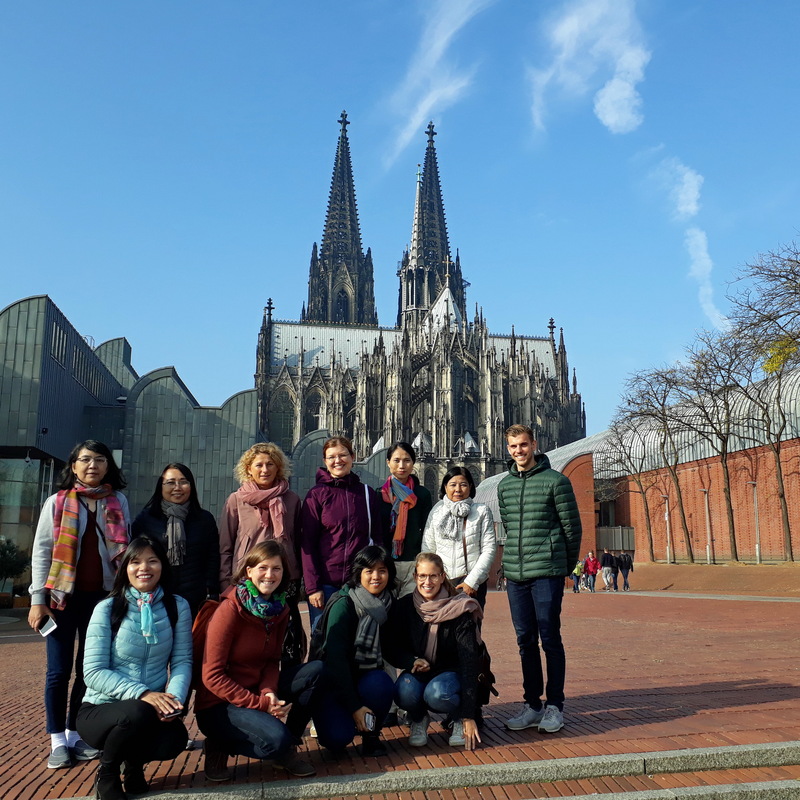 The visit is part of the BMBF-funded MyNex Project led by Prof. Dr. Mariele Evers. Guiding aims of the visit were the scientific exchange and work on the research activities in the context of the Climate-Water-Food Nexus which is investigated mainly in the Ayeyarwady Delta and the Central Dry Zone. 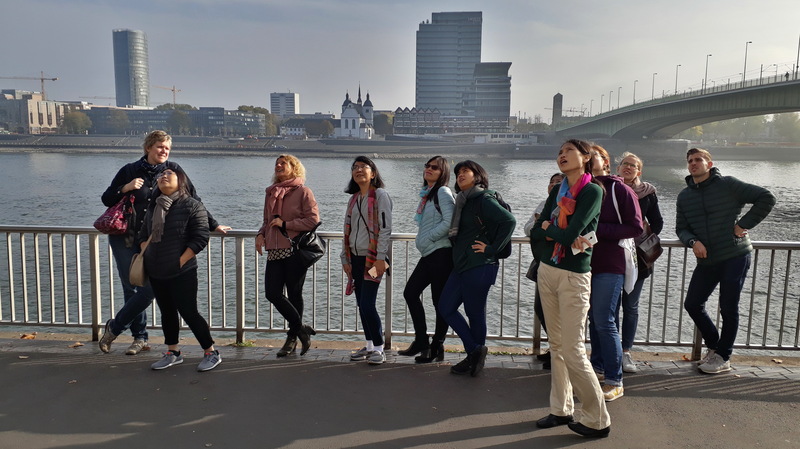 During the one-week stay in Bonn the Myanmar delegation had the chance to get insights in ongoing research of the working group, learn about the River Rhine as well as the cooperation of its nine riparian states and draw comparisons to the Ayeyarwady River in Myanmar. Flood protection measures were discussed in the city of Cologne which was an impressive example to compare to their home town Yangon. Along with an extensive scientific exchange, the delegation got to know our ongoing research activities and infrastructure in Bonn. The overarching goals like identifying joint research interests, developing ideas for future research projects as well as promoting master and doctoral studies were achieved. For detailed programme please klick here.